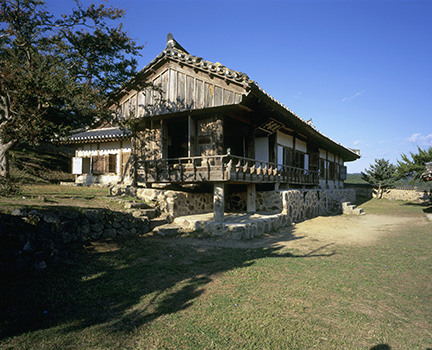 From September 2000 through August 2001, Juhee Lee-Hartford conducted a research on Korean residential architecture comparing traditional and modern homes. She studied how drastic modernization of South Korea between 1960’s and 1980’s impacted today’s residences and what traditions still lingered. She is (still) working on a manuscript summarizing this research, which has earned an honorable title of “Greater-Than-Life Project”. This endeavor has received encouraging supports from The MacDowell Colony and the Graham Foundation. Her lifetime goal is to share information on Korean Architecture through English writing, translation, and teaching. koreanarchitecture.org is the other “Greater-Than-Life Project,” which she hopes to finish when she becomes rich or famous. Currently, a preview version of this website is available for fund raising purposes.